Moving an office can impact the businesses majorly either they are big or small. A new space is an exciting thing whether the motive behind moving is more space or creating a new environment. An office move is a big thing and must be done very carefully. Small things should be taken care of while moving and a proper planning and management are necessary. It is a new and scary experience for some especially for those who are not having prior experience in moving. No need to worry, one just need to follow the simple tips. What you need to do is break the big tasks into smaller ones and make an office move checklist so that the move is smooth and stress-free. Have a glance at the tips for a seamless office move. Planning never fails, so it is best to make use of the documents, spreadsheets, and an office moving checklist. Plan in advance what to do first and include all the important tasks to be done either they are big or small. Jot down all the necessary details like the type of hardware to be moved and buying new stuff. Also, assign duties to people, teams, and companies responsible for each of them. Follow a harmonious and balanced approach. This way your tasks are compiled into more manageable bite-sized chunks. The planning document is the first step for the move and shares the moving checklist with the required person so that they know what needs to be done. Planning the time before starting your move is necessary. An important tip to follow is to avoid moving during the busiest time of the year. Make sure that your business does not suffer while you move from one place to another. It should function smoothly and the work must go on. Having a strict deadline helps in getting the things done more appropriately and efficiently. A deadline ensures that everything is done more effectively and efficiently. Having a fixed deadline ensures that the things are not procrastinate. No doubt deadline brings pressure along with it but is sometimes motivating. Go and measure your new space four to six weeks ahead of the move. Analyze if any furniture is required for new space or if you want to order new chairs and desks for the employees. Make an inventory checklist before your move like everything you need to buy. Examine what type of services are covered by your new office contract. Before moving, phones, phone lines, IT, insurance, business rates, and electronics must sort out. 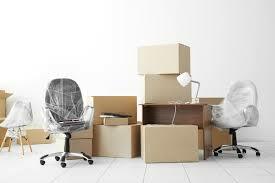 If you have regular supplies delivered at your office or business like newspapers, milk, fruits, it is important to connect with the suppliers to let them know that you are moving and giving them the new address. Also, connect with a good cleaning company so that they clean the space before moving. Hygiene is really important before moving to a new space. Office moving is a complex task and must be done efficiently. If you are confused and anxious, it is a good idea to hire a moving company that can cater to your needs. High Level Movers is the top commercial moving companies in Toronto and we make your office move effortlessly at an affordable price.